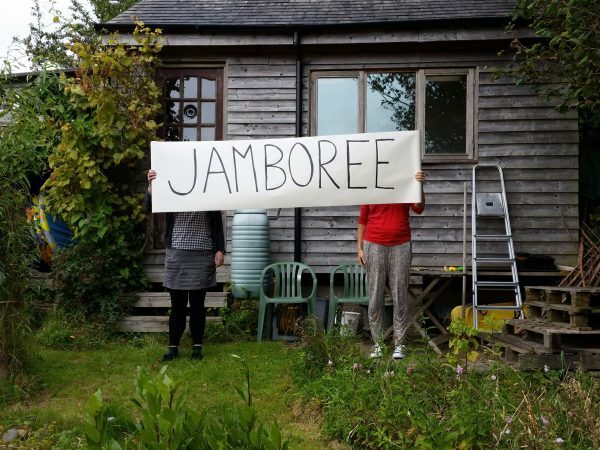 Jamboree 2018 is a national gathering of artists and curators, bringing together 150 visual artists, curators & programmers in a relaxed outdoor setting, on the Dartington Estate near Totnes, Devon, UK. Across 4 days, attendees will navigate LOW PROFILE’s participant-built programme of presentations, micro-exhibitions, activities and discussions to share practice. Jamboree 2018 also offers the chance to stop, engage, interact and recharge in a positive, critically-engaged environment. ESP is delighted to offer bursaries to three ESP members to cover the cost of a Weekend Entrance Pass. Artists, curators, programmers & arts organisers who are current members of ESP are invited to apply. The bursaries will be selected by ESP and LOW PROFILE – you’ll find application details and the online Bursary Application form on the Jamboree website HERE.